A few weeks ago I posted the quote below to my tumblr and loved how many agreed with me that this quote by Hester Browne holds true. 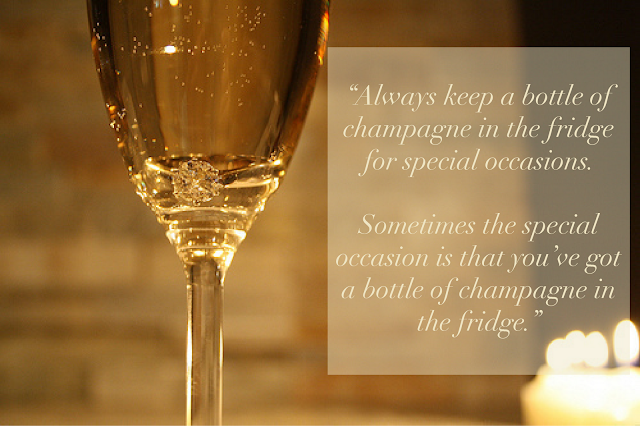 When do you have a glass of champagne? A celebration? A party? What about on a Sunday night? Sometimes there is more of just a reason to celebrate. 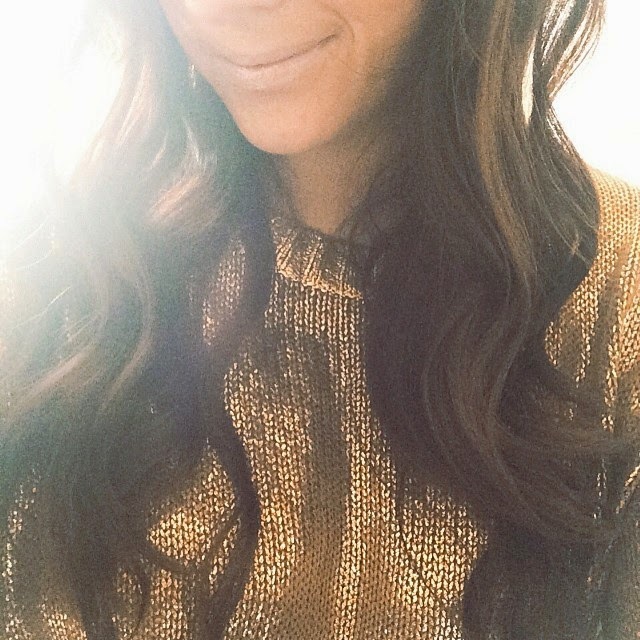 I think more champagne just because needs to happen so why not add some gold shimmer in your ensemble as well. Cheers! theres always an excuse for champagne! Love that quote! :) Goes hand in hand! Those Kate Spade shoes are fabulous and so comfy. i've had a bottle of champagne in my fridge for a year, but agree that its always good to have a bottle on hand ready to open!